By now it’s pretty clear that National Stationery Week is my favourite time of the year (#nerdalert!) but, I’ve gotta be honest, Fountain Pen Friday made me nervous at first. I wanted to stick to the themed days but I hadn’t used a fountain pen since school – and never really got on with them. But I wanted to give it a go for NSW. I emailed Cult Pens to see if they were interested in converting me to fountain pens. They were happy to collaborate, offering me a pen to review based on my past experiences, as well as goodies to give away to my readers! 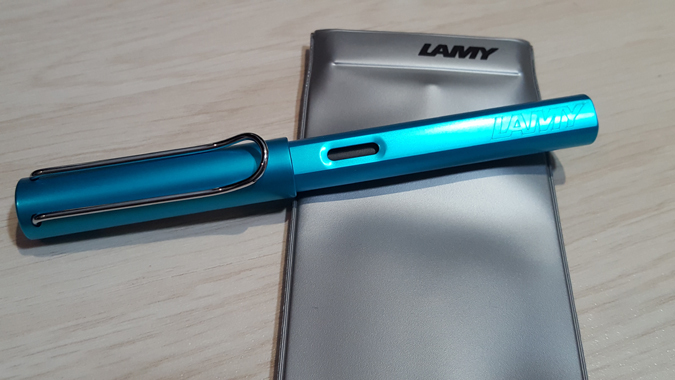 The fountain pen of choice was the Lamy AL-star Fountain Pen Pacific Blue Special Edition – and she’s a beauty! It was strange using a fountain pen for the first time in about 15 years. I have to admit, I have grown habituated to my mechanical pencils from Gear Hungry. 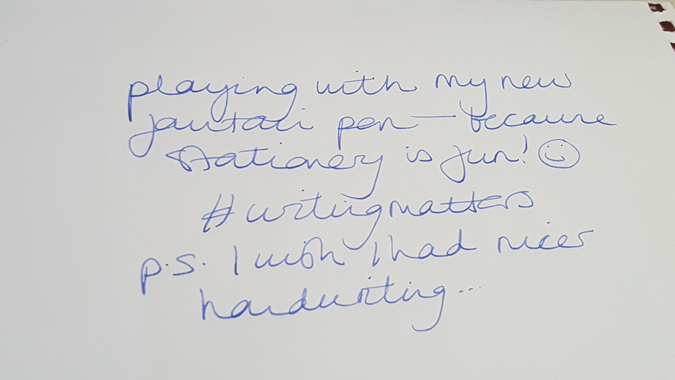 I immediately wanted to write neatly and joined up – it’s a shame my writing is such a mess! But the pen was a good grip and easy to write with; the nib didn’t feel scratchy and flowed well across the page. Plus the ink didn’t bleed through. Bonus! It’s definitely found a permanent home in my pencil case. 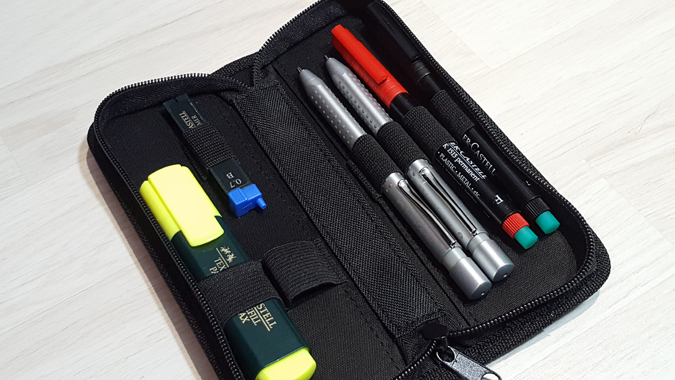 Cult Pens also sent me a Faber-Castell grip office set, complete with black and red permanent markers (for writing on glass, plastic, metal, etc), ballpoint pen, mechanical pencil, highlighter and extra lead. 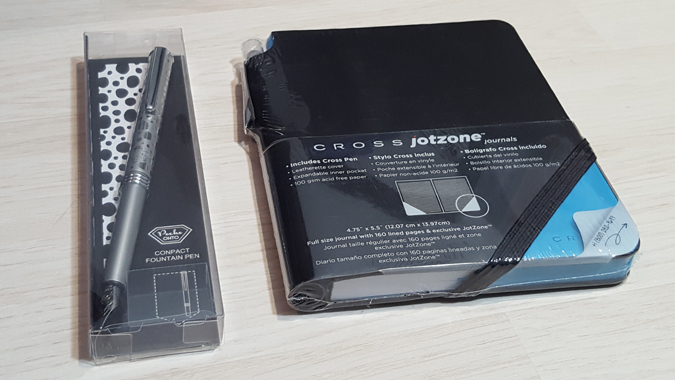 The grip design makes them very comfortable to write with. And that’s not all – there’s goodies for readers too! 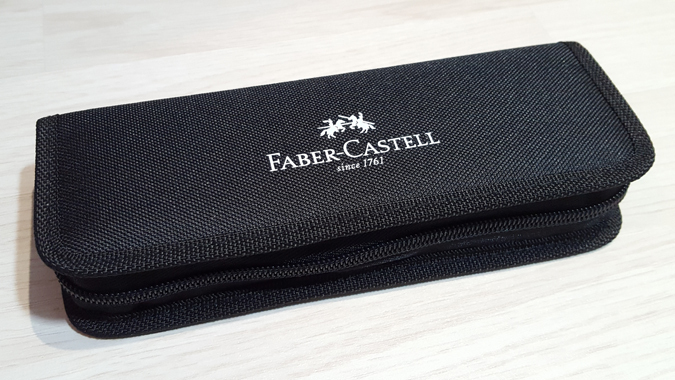 One lucky reader will win a Faber-Castell grip office set, a compact fountain pen and Cross Jotzone journal and pen. All you have to do to be in with a chance of winning is complete the Rafflecopter below. UK entrants only. This giveaway will close at midnight on Thursday 4 May 2017. The winner will then be contacted directly. My wife swears by Lamy – they’re robust yet affordable. Oh, and pretty! I love the look of that fountain pen, could really do with a new one as mines quite old. I think they really make a difference to the look and feel of your handwriting! I’all be celebrating ‘National Stationery week’ next weekend in lieu of this week!